Investment Management is all about developing a well-diversified portfolio to help you achieve your life goals and objectives. At Financial Freedom, we understand that your objectives may change, which is why we’re always ready to adapt our strategy. Whether working toward growth or protecting your principal, the skilled financial planners at Financial Freedom have your back. The Financial Freedom team seeks to create wealth in excess of inflation by investing in low-cost stocks, mutual funds and exchange-traded funds (ETFs). Using a mix of stock and bond investments, as well as other alternatives when appropriate, we carefully manage your risk. And we explain what we’re suggesting and why so you understand it every step of the way. Financial Freedom is a member of the Fidelity Investments Institutional Wealth Services group. Through this group, we have access to a full range of equities and fixed income securities (including over 7,000 no-load, transaction cost-free mutual funds). We utilize the Morningstar Rating System to help ensure we maximize return and minimize risk for you. This system allows us to analyze and track the risk-adjusted performance of each fund we use. Morningstar provides us with a monthly performance update on over 35,000 exchange-traded and mutual funds. We also use the Morningstar performance averages to evaluate Financial Freedom’s annual investment return performance for each client’s portfolio. We like to think about investment management on three levels. The first level is asset allocation. This is the combination of equities (i.e. investments exposed to the stock market), fixed income (bonds, bond funds, CDs, etc) and cash. Your overall asset allocation should be driven by what we call “your sleep comfort level” which takes into account your desire for volatility, risk tolerance, as well as what requirements are needed from the portfolio. Financial Freedom’s approach to investing is to decide on the appropriate asset allocation first, and then select the specific stocks, bonds, and mutual funds that will allow us to implement the allocation. We allocate assets between equities, bonds and cash (money market funds). These allocations are based on the client’s age and financial objectives and are adjusted, based on changes in our client’s tolerance for market risk, the economy, and opportunities in the stock market. In terms of tactical allocation, we allocate using six primary asset classes: large cap, small cap, mid cap, international, energy/natural resources, and real estate. Additionally, we also focus on several key business segments such as health care, technology, and financial services. Our team of financial planners believe that analyzing a client’s asset allocation is an ongoing part of our investment management program. The reason for this is quite simple: things change. Life goals and objectives may change and require more or less income, tolerance for investment risk may change and a client may wish to reduce portfolio volatility (control risk). If you would like to discuss Financial Freedom’s Asset Allocation and Investment Management program in detail, please call and we can arrange to meet. Once an appropriate asset allocation has been developed, the second key step is developing a well-diversified equity and fixed income portfolio. To diversify your portfolio and further reduce risk, Financial Freedom will allocate your assets between a number of asset classes, using individual stocks, bonds and no load/low load mutual funds. On the equity side, we focus on six primary asset classes: large cap, small cap, mid cap, international, energy/natural resources, and real estate. We also focus on several key business segments: health care, technology, and financial services. Within each of these asset classes and business segments, we target for a specific percentage of exposure in each area. On the fixed income side, we are focused on achieving exposure in: mortgage back securities (GNMAs), Treasury Inflation Protected Securities, and high quality short and intermediate-term bond funds. We like to use the mortgage back securities (GNMAs) and the Treasury Inflation Protected Securities due to the fact that the principal and interest payments for the GNMAs and Treasury Inflation protected securities are guaranteed by the US Government. Financial Freedom is a member of the Fidelity Investments Institutional Wealth Services group. Fidelity Investments, located in Boston, MA, is one of the largest financial services companies in the world. All of our client’s assets are custodied at Fidelity, where each client has their own individual account. The third level is the individual investments that support the above well-diversified portfolio. 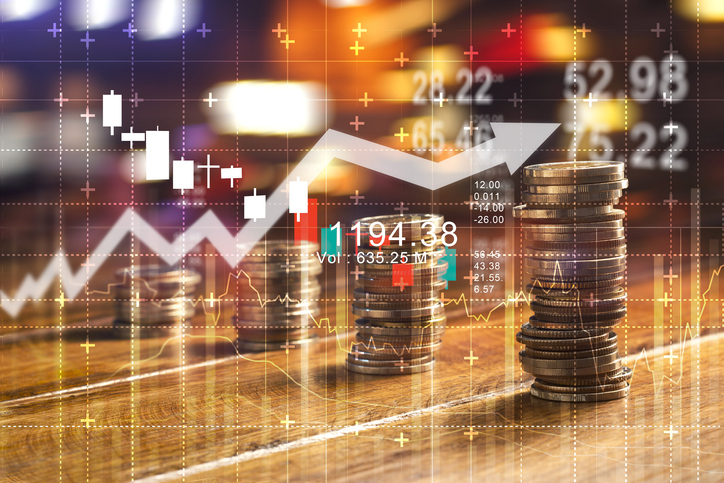 We use a strategic combination of high-quality, low-cost, low and no-transaction fee mutual funds, index funds, and exchange traded funds to accomplish this objective. Additionally, we utilize a comprehensive selection process to identify the appropriate individual investments to use. These may include: quality and stability of the fund family, fund expenses, fund managers, historical performance against relevant benchmarks, top holdings, etc.